Production Line, Inc. offers a variety of services to those companies looking for custom manufacturing, contract assembly or packaging. Whether the need is temporary or long term, Production Line is a cost-effective alternative to adding personnel, equipment, work space and warehousing to your company. The services of Production Line are customized to your specific needs. If you have work that is outside normal production, or foreign to your operation, then it may be advantageous to contract that work to a specialist such as Production Line. 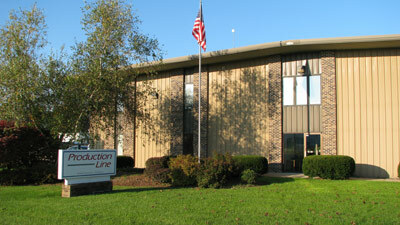 Production Line, Inc. is located at 14330 Industrial Parkway in South Beloit, Illinois 61080. Our facility is 25,000 square feet and features two loading docks and two ground-level truck doors.